Ever want to be a zombie? Do you like The Walking Dead show? Then maybe it’s your calling to become an extra in season 2 of The Walking Dead. At this moment the show is filming in the Atlanta area and they are looking for people to play the part of zombies. Now these would be zombie extras that would be in the background, but it still would be pretty cool. In order to become an extra in the show and be one of the zombies, the requirements are quite simple. If you can lurch around and give some really good blank stares along with working long hours in makeup and costume, then maybe this might be your gig. 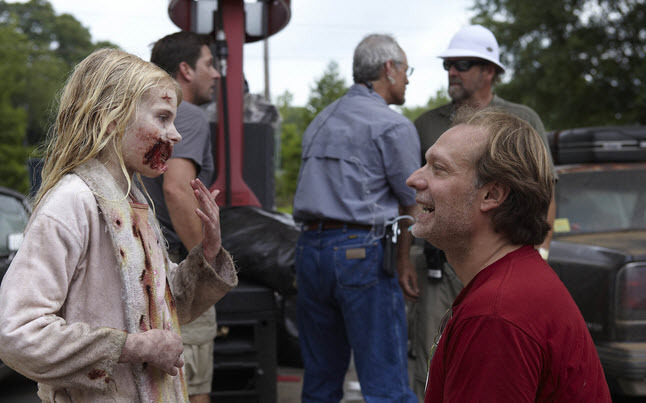 AMC will be filming until November to get all the episodes it will need for the second season of the television series. We have a couple of videos showing the filming that is currently taking place in Atalanta which might help you know what you are in for. In the one video you can see some zombies approaching the RV as the vehicle speeds away. 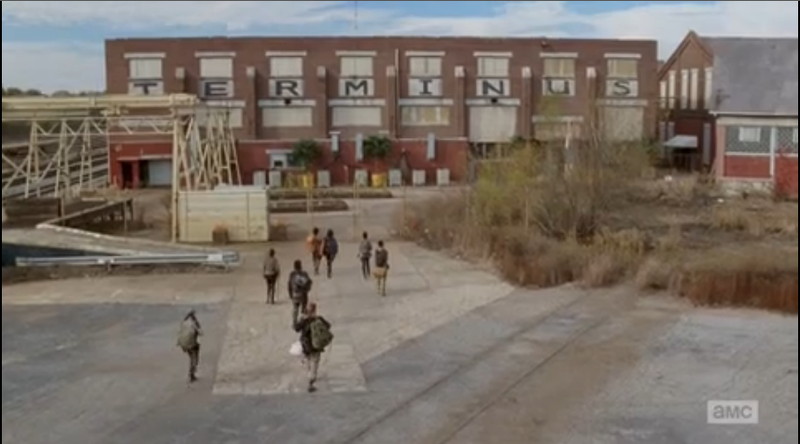 You can check out the video: The Walking Dead Season 2 Scene Video! The Walking Dead is filming in the Atlanta area so if you live far from there or not in the immediate area, then this may be difficult for you. However, if you were me and I got called to be an extra in The Walking Dead I would do whatever it takes to be there in order to become part of the show. The Walking Dead Season 2 Scene Video! Please email me when you need extras in season 3 at KrazyKlown@windstream.net. I Would love to be an extra! And i live in the Atlanta area! Please e-mail me when you start casting for season 3! If you ever need four women in their mid to late 40’s. or even just one please email me. I am completely obsessed with the show as are a group of my middle aged girlfriends:-) smbvchand@aol.com. Being in Atlanta is no problem. Being a zombie extra on the Walking Dead would complete my bucket list that I have made over the course of my 18 years of living. I’ll travel around the world to be an extra. Let me know! I live in England and would be willing to travel all the way to Georgia (which is where I believe series 3 is being filmed) to get on the show. Hey I live close to the location where season 3 of The Walking Dead is being filmed, if it’s not too late I would love to be an extra! you can email me at laurac.llorens@yahoo.com! Film in Canada, Vancouver BC preferably!!!!! That gig would be the best ever! I sent off email to address given with requested information. I’m fifteen minutes from new location and would love an opportunity to be an extra. P L E A S E!!!!!!!!!!!! F I L M IN L O S A N G E L E S C A L I F O R NI A!!!!!!!!!!!!!!!!!!!!!!!!!!!!!!!! I would like to be a zombie extra! Please email me at nivins360@yahoo.com! I am eager to become an extra on The Walking Dead and I’m in the vicinity if Atlanta!!! It’s meant to be! Any role in the walking dead i would be happy to film im 15 and love the walking dead im a bot of course and am taking acting classes At the moment! As i said ill do ay part any time! Hi i’m Caleb, I’m 15! I’ve been following The Waling Dead from day one and am still hooked. Hi, I’m Matt, and I’m 15 years old. I would love to be a zombie extra on an episode from season 3, or any seasons that are coming in the future. This show is definitely the best show on tv! Anything I could do to keep it goin for as many season as possible would be the best! And be a zombie, and on tv would be awesome!! You can email me at hobo225@hotmail.com if there’s room for me on the show! Thanks!!! I would love to be an extra on the Walking Dead. I could play the zombie who hides in a hole behind a rock and when I sense someone sitting down and resting thier tired body. I will sneak out and bite them on the shoulder. 5’4ft zombie. Hey, my name is Josh. Me and my friend Yosef have been following The Walking Dead from day 1 and we are both 16. We both have acting experience and would love to be an extra. If you’re interested email me. my neam is Dean golden and i have been in a movie so i know how to act lol and just look for me on facebook my name is Christopher Dean Golden 🙂 i wanna be in season 4 big fan just meg me and ill be there.